Photo Gallery Plugin created for customers who really appreciate functionality and quality. The great thing about the Gallery is that it allows users to display not only images but attract visitors attention with videos in high quality, full width and best design as well. With Photo Gallery you have the option to upload videos from Youtube, Vimeo and even Self-Hosted videos. 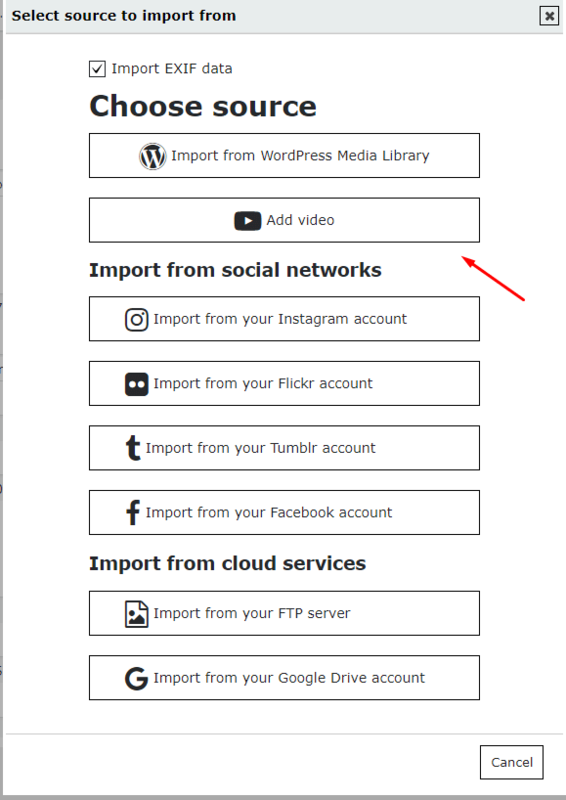 Add video via import from, simply select the source and insert a link. Video support for a Photo gallery is a valuable benefit for any kinds of sites: business, blog or entertainment pages. Create your own video gallery and check other awesome examples and solutions to display your photo gallery in the best way.